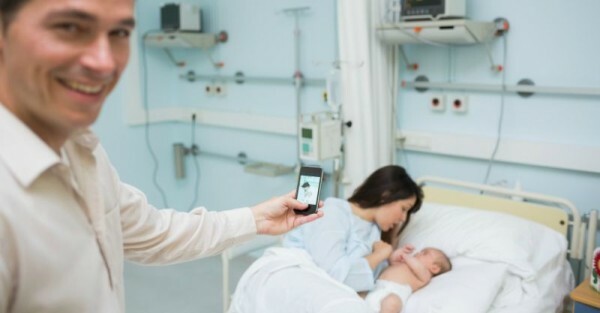 Attention parents-to-be – the time has come to pack your hospital bag and prepare for the adventure into the labour ward. You’ve probably done a bit of research and asked other mums what are the essential items you need when bringing baby home, but what about when you’re pushing baby out? Don’t worry – we’ve got you covered. Here’s everything you don’t want to leave home without. Let’s start with the practical stuff such as a maternity bra, a nightie, maternity pads, socks and a maternity bra. You will also probably want your health insurance, hospital papers and birth plan if you are organised enough to have one. Once bub is born, you’ll want something warm and comfy to wear such as track pants. It’s also a good idea to pack several pairs of massive granny undies that you can simply throw away later. Bring a small bag of toiletries that includes your hairbrush, toothbrush, deodorant, face wash and lotion. 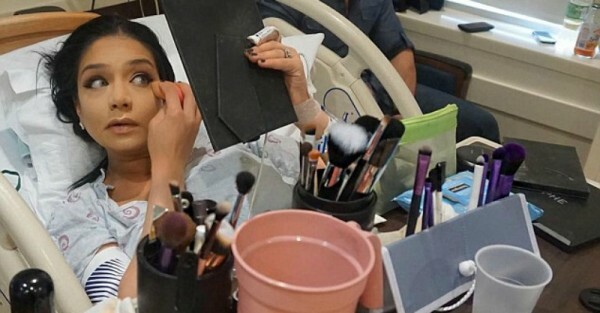 You may even want to bring your entire collection of makeup, like this mum, who managed to apply a face full of make-up while in labour with your daughter. There’s a pretty good chance you are going to get a bit overheated so bring a hair tie, clips or a headband to keep your hair and your sweat out of your eyes and off your face. 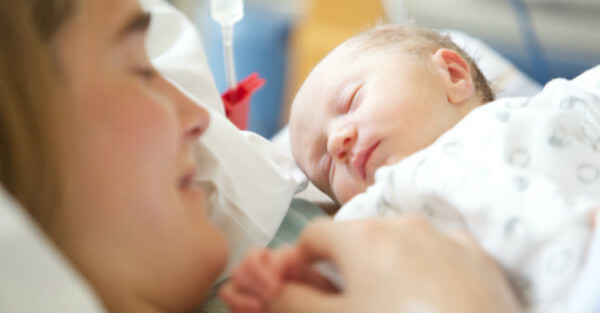 How you feel about your partner during labour will depend on how things go. Some mums rely on the extra support and wouldn’t be able to do it without their partners. Other mums not so much. Either way, it’s nice to pack your partner a spare change of clothes too. You can be the judge if you decide to give them to him … or simply throw them out the window. Time to move on to the essential tech items. You really can’t leave home without your phone as you will want to take a few photos, send a few texts and possibly listen to music. Spotify recently made a playlist especially for mums in labour that complements your delivery journey with music. Pack your phone charger too. We’ve also got a list of labour games that you may want to play to make the time go faster, such as Skittle Toss and Labour Bingo. There are plenty of other things you might want to pack – a pen and paper if you get the desire to write a novel during the process; a stereo if you get the desire to dance the labour pains away; lip balm if your mouth gets dry; an iPad or computer if you want to keep everyone updated on Facebook on how many centimetres dilated you are or if you want to binge-watch a series on Netflix; snacks and drinks to keep you nourished and hydrated in case the hospital offerings are not to your liking. Some mums may want to also bring a pillow, towel or their own blanket if they have trouble sleeping in starchy sheets and bathing with a paper-thin towel. You may even want to bring a few personal items to make the area more comfortable, like a photo of your other children to help keep you motivated and comforted when the pain strikes. Or a photo of your pet, which, I admit, I did do during labour with my firstborn. Make sure you also have a few items for bub such as nappies, wipes, a couple of outfits, blankets and an approved car seat installed in your vehicle. It also seems quite common to pack an itty bitty baby beanie because they are simply too cute to be without. And, no matter what you do, don’t forget to pack a massive block of chocolate. Because, if there’s one thing you deserve after giving birth, it’s chocolate! Check out our additional guides on preparing for baby as well as what Babyology readers recommend when packing your hospital bag.